Strange Girl: Off to Montreal! I'm going to Montreal for work training so I can be a window visual merchandiser when I get back. If the hotel has wireless, I'll still be posting, but if not! 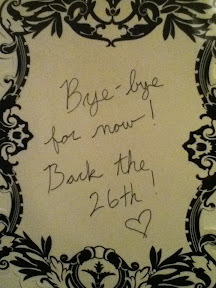 I'll be back on the 26th. Hopefully I can fit in some antiqueing, thrifting and general shopping while I'm there! (and hopefully a tattoo). I'll miss you guys while I'm gone!